For many seniors and their families, leaving the comfort of their home for needed health care can be a difficult decision. Home may be the best possible place for learning to cope with debilitating issues. The combination of family, friends and familiar surroundings along with skilled nursing or an elder care companion can often provide the most comfortable environment for seniors to maintain the highest possible levels of physical health, mental health, emotional well being and independent functioning. Continuum Home Health senior care program, Living Long, Living Well is a unique elder care home health program designed to help seniors live securely and comfortably in their own homes. Our specially trained primary care nurses work in concert with our patients, family caregivers and physicians to develop client specific plans focused on achieving optimal physical, mental and emotional health. Continuum Home Health care professionals provide the appropriate level of services based on the patient’s needs and wishes and may include assistance with activities of daily living, social services, physical therapy, speech therapy, skilled assessment and management of clinical needs, medication assistance and much more. Planning for senior home care can involve many difficult decisions. 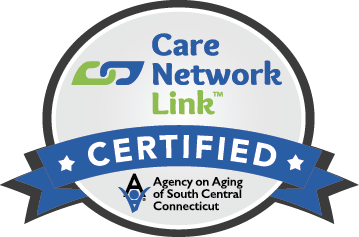 Continuum Home Health senior care program recognizes these issues, and can provide a compassionate, respectful and experienced perspective during this confusing time. If you have an elderly family member who requires special attention or a companion, Continuum Home Health senior care can create a safe and healthy environment that enables seniors to stay at home as long as possible. When does in-home senior care make sense? 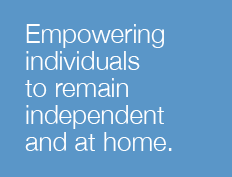 If you or someone else is already serving as a caregiver, Continuum Home Health senior care can help create an in-home senior care plan for your family member. Our specialists often answer questions about family dynamics, enabling the patient’s adult children to find common ground on how to provide the best care for their parents. As an advocate for you and your family, Continuum Home Health senior home care will also make sure that you are aware of all of the resources available to your family member through insurance, Medicaid and community programs. Our team communicates regularly to coordinate efforts so the patient’s specific needs are met. In addition, communication with family and caregivers is ongoing. Our goal is to provide your loved one with the best care possible while keeping you as informed and involved in the process as we are able. Since physical problems are often coupled with mental health and emotional health issues, Continuum Senior Home Health care provides a comprehensive team approach that provides a full range of coordinated physical and mental care through a single agency. When you call Continuum Home Health, a senior home health care specialist will listen to you and answer your questions. This conversation is followed by a personal assessment by a senior home health care professional in the privacy and comfort of your own home. You will find out what to expect given your loved one’s condition. We will address your issues and concerns and explain how our home care nurses and other services can assist you. In close cooperation with your family, we will build a personalized care plan, subject to your doctor’s approval, that meets your loved one’s healthcare needs. You can trust Continuum Home Health senior care to take charge of your situation and coordinate everything, all with expertise and compassion.